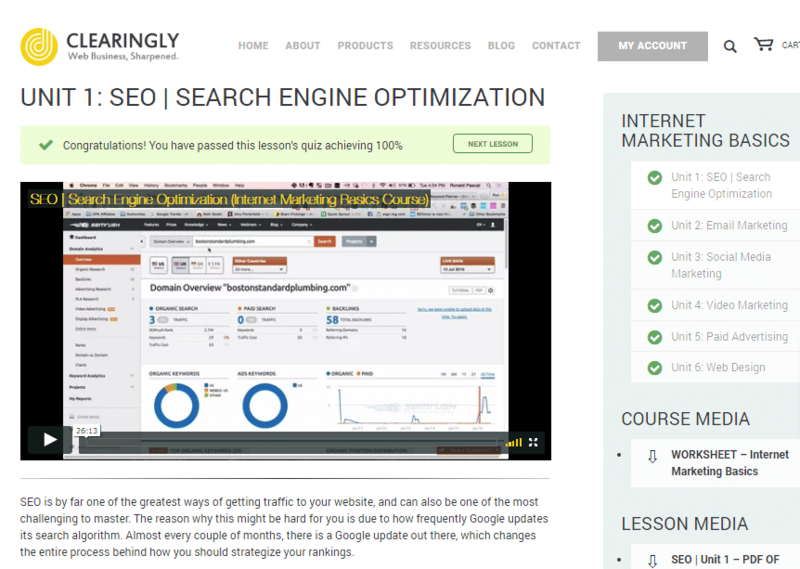 Online training, ecommerce, courses and books to help grow your digital business. 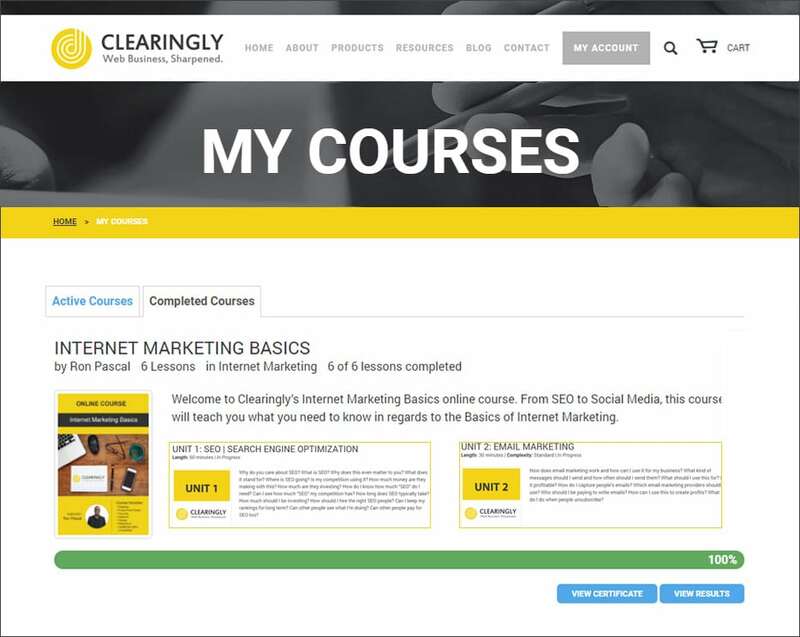 Clearingly is an online training platform, eCommerce store and resource channel for business owners, marketing professionals, executives and more whose focus is web and who want to optimize their web businesses. Our motto ÔÇô Web Business, Sharpened Into Focus ÔÇô points at the passion we have for leveraging our Internet knowledge and turning it into real results. If youÔÇÖre tired of the same old information, and need actionable advice you can use, you have come to the right place. This was an exciting project us here at GoingClear Interactive since this project for Clearingly was created by us as well. 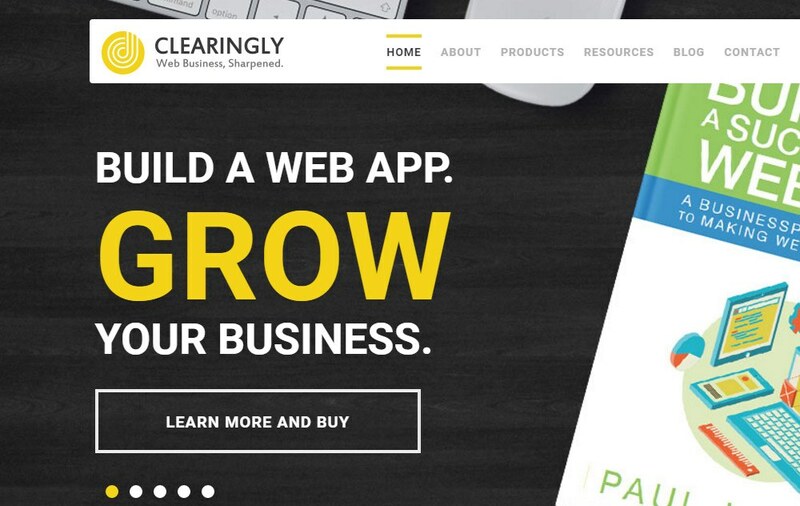 Clearingly was created as a resource channel for our clients and anyone who has a focus on business on the web. We wanted to create a channel and brand that can help our clients and everyone else who are more in the DIY type mindset where maybe they just had their website launched by us and now they want to push their own digital marketing efforts internally with their team and or any business in general who wants more out of their online presence. Clearingly offers On-Demand online courses with course material. quizzes, powerpoints, video, lesson breakdown and certificate of completions upon a successful finish. In addition to online training courses, it also offers eCommerce functionality, books on web business, office startup artwork and more. Another unique feature of this website project for Clearingly was the integration of a complete affiliate management system where people or companies who like and appreciate and or just want to earn additional money can signup for a free affiliate account and then refer others to Clearingly products and if purchased by the referred, then a percent commission will be paid to the affiliate marketing who referred. 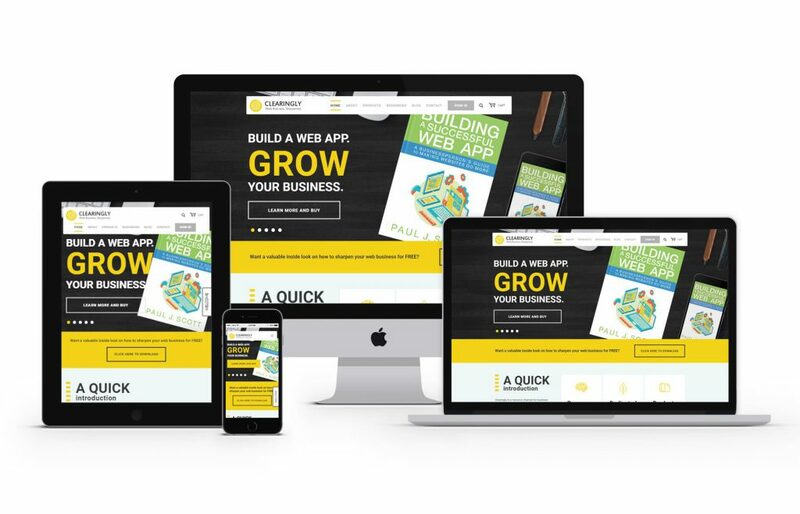 In addition to those features, the new Clearingly website was built using WordPress as the CMS (Content Management System) along with a fully mobile and tablet friendly design leveraging Bootstrap for the responsive framework so visitors are certain to have a user-friendly experience on any of their devices from mobile, to tablet and of course desktop.